PNC Park Seating Tip #1: Go for the third base side. 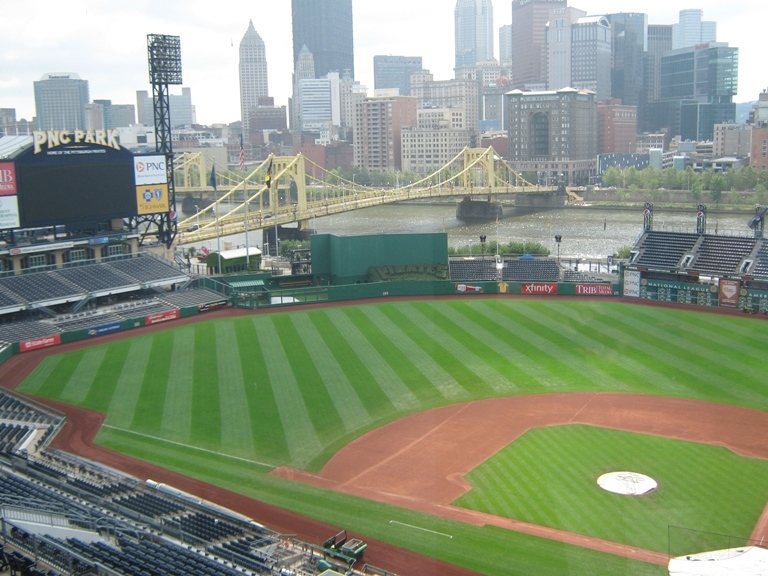 From the third base side is the best spot to enjoy that tremendous view of downtown Pittsburgh. You should get closer to home plate if you can, because the Roberto Clemente Bridge is an important part of that backdrop. It’s not that you’ll miss much on the first base side, but between third and home is ideal. The view may be the one aspect of this ballpark that puts it a class above most ballparks in the major leagues. Incidentally, it’s the best place to be on fireworks nights, too. Just one caveat though: because of the orientation of the field, PNC gets the most sunlight on the third base side at dusk. Not necessarily a bad thing on a cool night in April, just bring sunscreen and sunglasses in the summertime. Love models like this. It makes me want to be a tiny person. 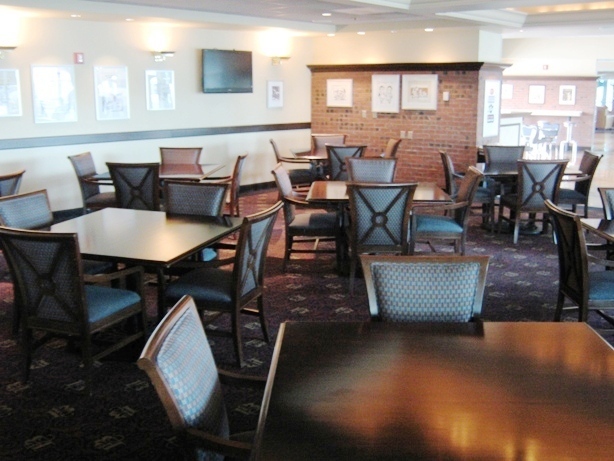 PNC Park Seating Tip #2: Splurge For The Club Level. 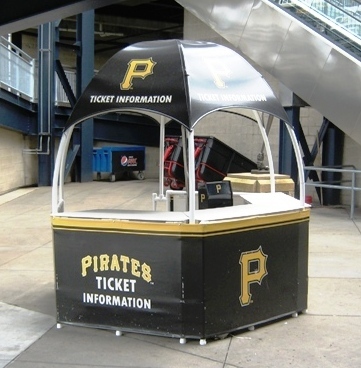 Not only are Pirates tickets among the cheaper ones in the major leagues, they’re inexpensive at just about every level, including premium seats. If there is a ballpark where the prime seats are worth splurging for, PNC is it. The Club Level seats at PNC are the lower rows in the second deck, which in this ballpark is very close to the action, the designers having smartly tucked the luxury boxes under the second deck. They are also padded and a bit wider than the seats above them. But the best part of the Club seats is the access to the Pittsburgh Baseball Club, the climate-controlled club level concourse. This is where you find the premium food options, like the Score Amore, the PBC Grill, and the Bucs Wok, a very popular stand serving Asian food. The Club Level also has lounges with full bars and pool tables, like the Club 3000 and the Keystone Corner. Team must not be winning. The Club seats would probably be best in April, when it can get pretty chilly in Pittsburgh. You can find seats at a price you’ll very much like during the early cold months too, if you look around on StubHub or eBay. And you can go to the game early, use a private entrance, walk around a warm carpeted concourse and help yourself to a huge meatball sandwich and a popular craft beer and shoot some pool before the game starts. Anytime it gets too cold, head back inside and watch an inning on TV. Many people automatically think that they won’t be able to afford the fancy extras at the ballpark, and that’s not always the case. 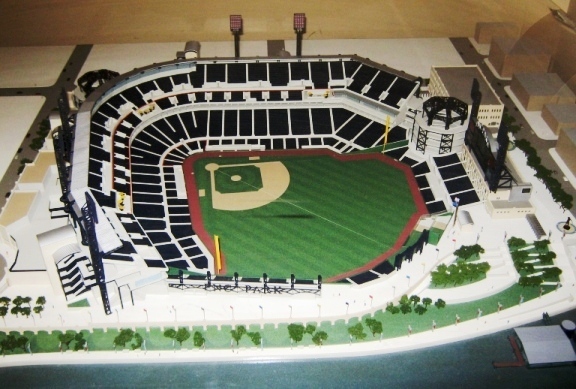 Especially with PNC Park seating.